This hard coat stucco home boasts a spacious open floor plan with over 5,000&apos; on the 1st and 2nd levels. This custom home features a beautiful entry flanked by the fireside gentleman&apos;s study and banquet sized dining room ajoined by a curved two-story window wall in the fireside great room. Hardwoods flow on the 1st level into the chef&apos;s kitchen, butler&apos;s pantry, two-story fireside family room and breakfast room. The updated master suite is on the main and 2 staircases lead to the 2nd level with 4 large bedrooms and 3 baths. Two staircases lead to the partially finished terrace level offering 3,000&apos;of endless opportunities. 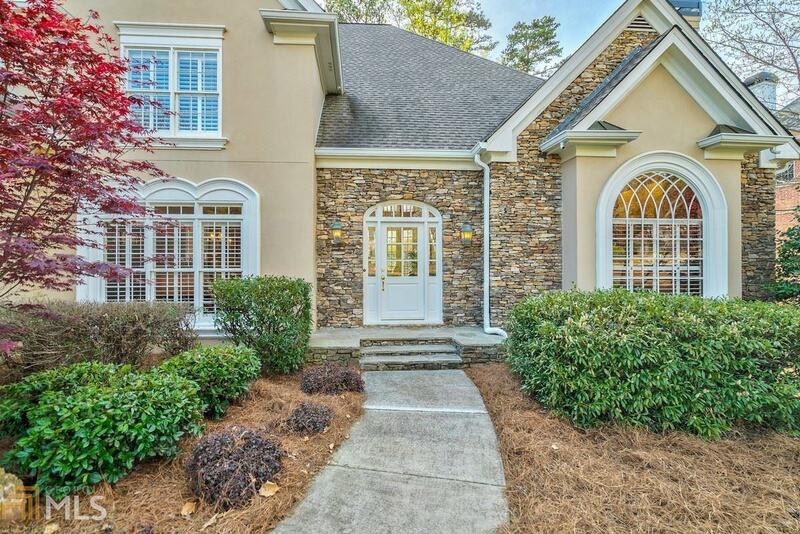 Walk to the award winning neighborhood amenities of golf, swim, tennis, sports park & lake. Minutes from GA400, Greenway Trails & Avalon.